In recent weeks, new developments in Newcastle, the collapse of TJ Hughes and the ongoing conversion of ex-Netto stores have given me plenty of topics to write about – somewhat at the expense of talking about new uses for former Woolworths. Given the backlog of ex-Woolies pics that I’m building up, now is probably a good time to showcase a few of the stores that I’ve spotted on my recent travels, kicking off with three interesting and very different sites in North Somerset. At the time of Woolworths’ collapse in 2008, the store at 64 High Street in Weston-super-Mare (store #81) was among the chain’s thirty longest-surviving shops, having opened its doors in about 1919. In November 2009, the site was taken over by a combined Ethel Austin and Au Naturale store, but that closed down in March this year, having initially survived the cull that followed the retailer’s own collapse into administration in early 2010. 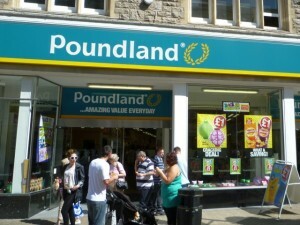 In May this year, however, the site was snapped up by Poundland – adding to its ever-growing collection of ex-Woolies locations. 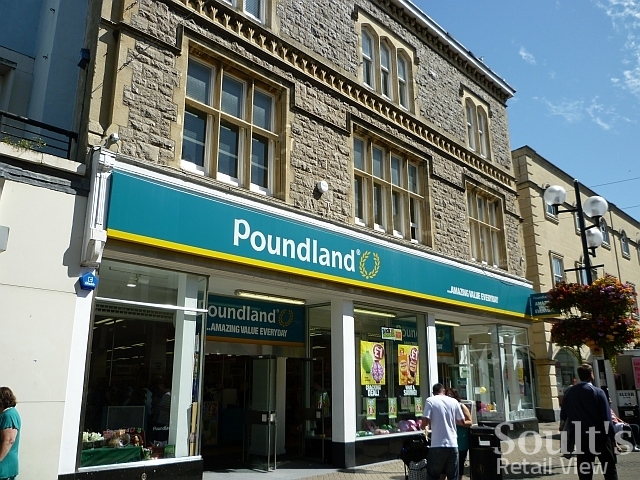 While this move does mean that Poundland’s former (but, at 3,672 sq ft, much smaller) site, further along the street, is now itself vacant, I understand that those premises have been let to the weekly payment retailer BrightHouse. 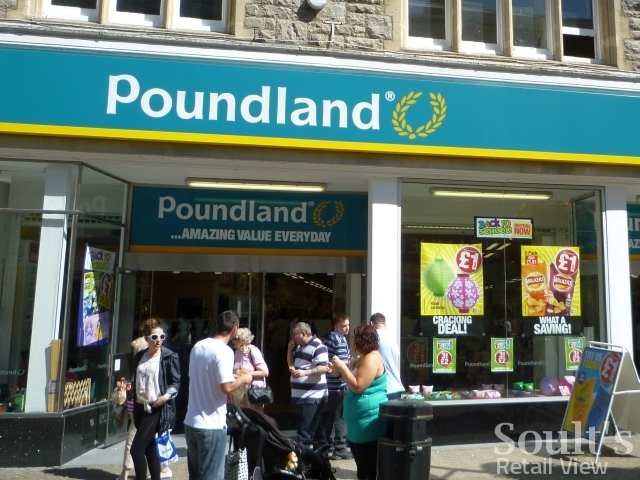 For what it’s worth, the new Poundland remains instantly recognisable as a former Woolworths, given that neither of the subsequent occupants have felt the need to replace the distinctive Woolies shopfront. Down the road in Nailsea, in contrast, the former Woolworths at 61-63 High Street (#1269) has neither a long history nor any architectural features that mark it out as an ex-Woolies. Previously a Kwik Save, Nailsea’s 8,100 sq ft Woolworths only opened in October 2007; when it closed, on 6 January 2009, it was therefore among the shortest lived of all the chain’s stores. However, The Original Factory Shop took over the site in May 2009, adding to its own growing portfolio of ex-Woolies acquisitions across the country. Unfortunately I was passing through Nailsea early on a Sunday morning, meaning that I wasn’t able to get a shot while the store was open. 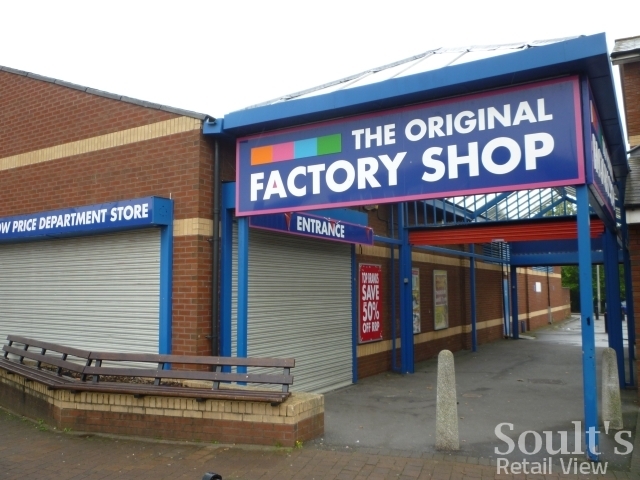 While Poundland and The Original Factory Shop are among the most prolific occupants of former Woolies sites around the UK, it’s good to also see some independent retailers taking the opportunity to grow their businesses off the back of Woolworths’ demise. 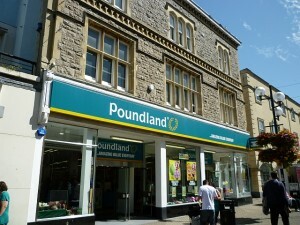 One such location, which I visited earlier in the year, is the old Woolworths store in Clevedon (#992) at 5-7 Old Street. 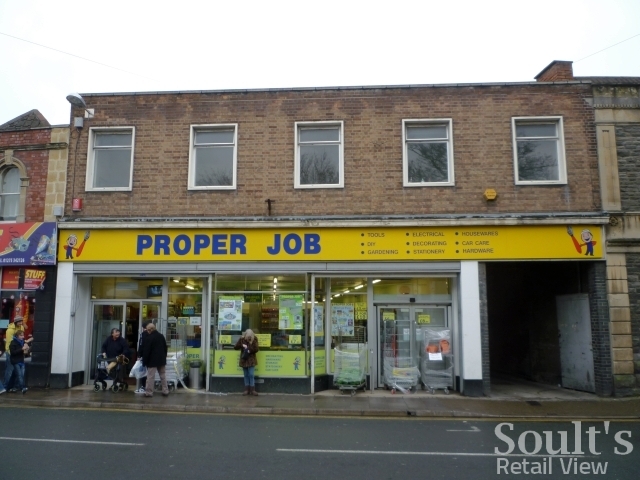 Opened as a Woolworths in about 1957, the building has the same typical Woolies shopfront as the store in Weston-super-Mare, and was taken over by Proper Job – a locally-based tools and DIY chain – in July 2009. Looking around the store, it certainly seemed like an Aladdin’s cave of home, garden, hardware and decorating products – a little like an indie hybrid of Wilkinson and Clas Ohlson – and is exactly the kind of useful shop that can really drive footfall and make a positive difference to a small town’s high street. 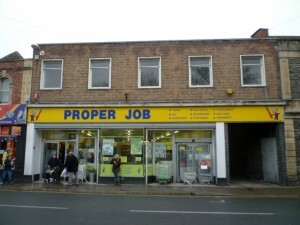 The apparent absence of a Proper Job website makes it a little hard to find out more about the business, but I understand that there are four established stores in the Somerset area – in Weston-super-Mare, Worle, Brislington and Glastonbury – as well as a newer one, in the former Woolworths in Bridgwater, which opened in June last year.